Below the cut you’ll find all the blogs currently scheduled to participate and the given days they’ll be posting. If you’re interested in participating, and want to win some great prizes, feel free to leave a comment below, email or Tweet me, or just write something and send me a link when it’s published. 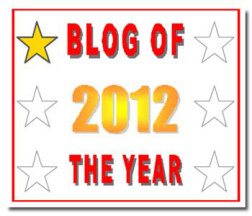 Also, if you don’t currently have a blog, I am willing to host posts emailed to me. In order to give as many stars love as possible, if you currently see a star has people writing on them, please consider writing about someone else. (That’s not a mandatory rule. If you’re planning to write on multiple days, feel free to mix and match between uncovered topics and covered ones.) I will be updating this list all the way daily throughout the month, posting links as they come in. So if you want to know what everyone’s doing, be sure to check back here. I’ll be making this post sticky throughout the month so it’ll always be at the top. 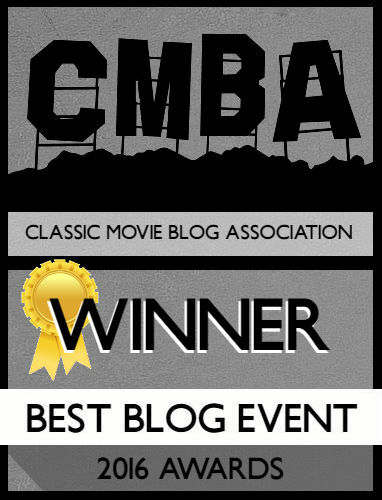 Here’s to a great blogathon! Phyllis Loves Movies discusses her favorite De Havilland films. August 15th – Douglas Fairbanks Jr.
Hi Kristen. I hope I’m not too late to participate. I hesitated a long time since I’m quite busy these day! Well, if it’s still possible, I’d like to write about Lee J. Cobb on August 17 since nobody is doing so. Awesome Virginie! Just be sure to give the rules post a read (https://journeysinclassicfilm.com/2015/07/30/all-you-need-to-know-about-the-summer-under-the-stars-blogathon-rules/) and I’ll put you down for Cobb! Thanks for participating! The blogathon roster is fantastic, and it looks just beautiful, thanks for all the hard work! I’m going to send you the link to my post at secondsightcinema.com (on Mitchum, for tomorrow 8/12) tonight. Very possibly extremely late tonight. Shd I also send it to you on Twitter or elsewhere? Thanks for your help, and congratulations on pulling this very ambitious bloghaton off in such style. Hi Lesley, I didn’t have time to make up new banners, so feel free to post the ones I’m using for the day you’re doing! Hey Kristen,wondering if possable i review born to dance for August 25th – Virginia Bruce day. If so i would love to review it that day. You’re all set! Just drop me the link when it’s up! Hi Kristen, I’d like to jump in too. Oddly, enough, want to do Virginia Bruce, as well, The Invisible Woman. It’s a great little film, kind of a mashup between a Universal Monster movie and a screwball comedy. Please let me know if there is anything else. I’m so happy someone’s reviewing Invisible Woman! I watched it on Svengoolie last year and enjoyed it. Just send me the link when it’s live and you’re good! Here’s my post on Greta Garbo’s life. Just letting you know that my entry on Gary Cooper will be late, and won’t be in until tomorrow. Have been extremely busy. Let me know if it’s alright sending it in late? I’m actually not taking late submissions due to the contest prizes involved. Sorry for the inconvenience.